August | 2017 | On The Road in Florida With Idelle! 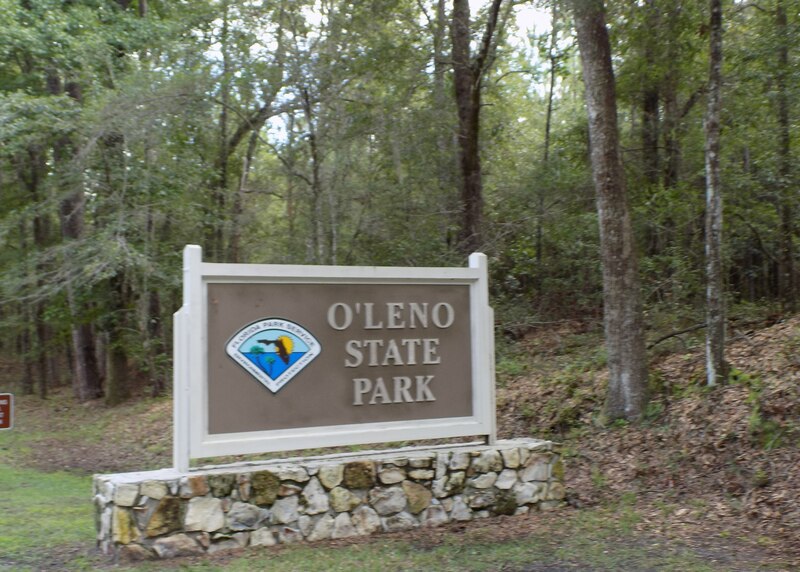 Drive down the road under a canopy of trees stopping for Gopher Tortoises at the crossing on the way to O’Leno State Park located at 410 SE O’Leno Park Road in High Springs. The site originally a town named Leno established in the mid-1860s. The town prospered until the railroad went around the town. By the 1890s, it became a ghost town. 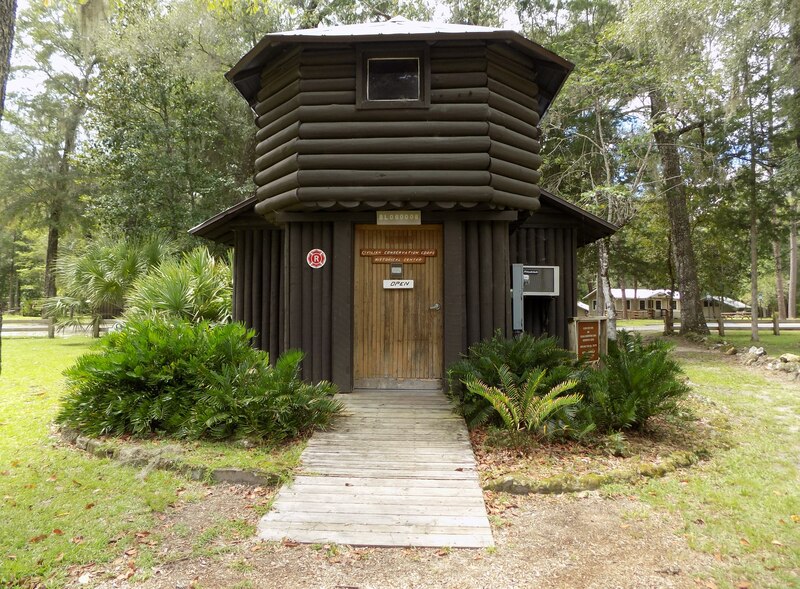 Step inside the museum and read about the early years of the men in the Civilian Conservation Corps (CCC). The location originally purchased as a forestry training camp. 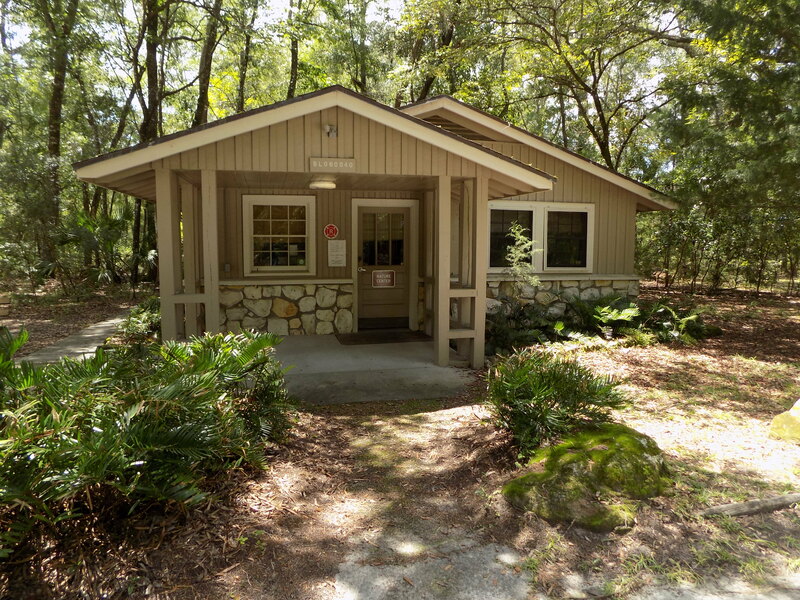 In the early 1930s, the camp became a state park one of the original nine parks built by the CCC. A small nature center that houses the King and Red Snakes, both non-venomous and the Logger-head Musk Turtle. 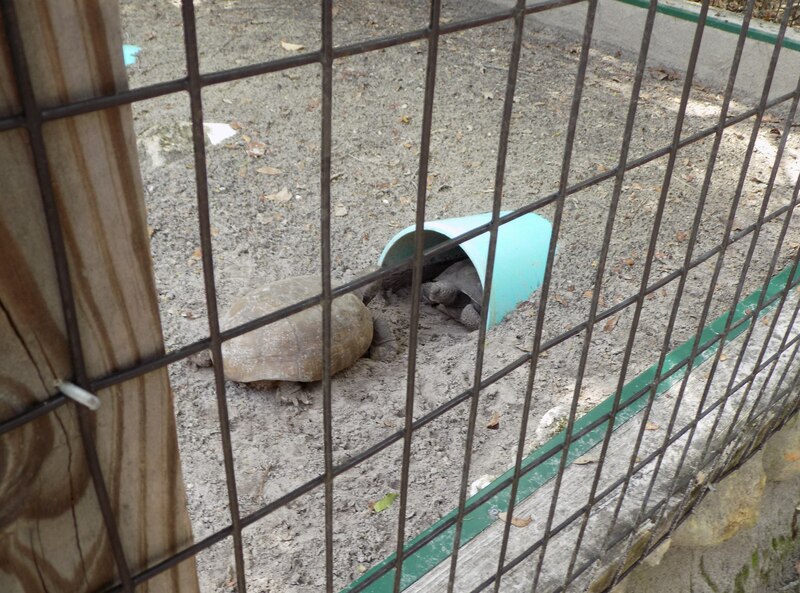 Two Gopher Tortoises eyeing each other in the turtle pen. A Mounted Florida Bobcat, Barred Owl and an Armadillo. The Florida Bobcat remains elusive, the Barred Owl found during twilight hours. While hiking in the woods you might come across an Armadillo. 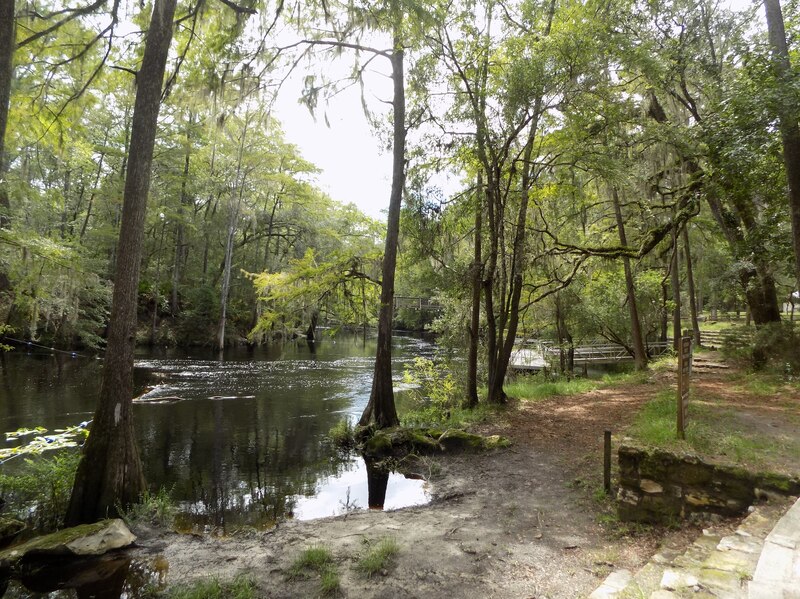 Relax along the river’s edge and admire the Magnolia and Cypress Trees. Walk along the boardwalk to the suspension bridge stopping in the middle of the bridge to take photos looking out at the Santa Fe River. 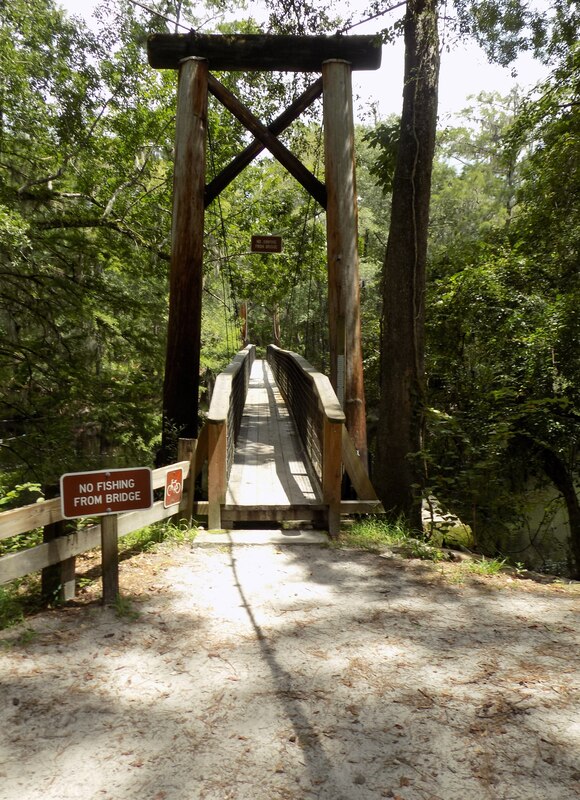 The bridge built by the men of the CCC. Hike on one of the many trails through pine forests and hardwood hammocks. Have a picnic or a barbecue. A playground for children and a designated swimming area. I recommend the park, a lot to see and do. Fees and hours of operation on the website.